Luckily for hunters, camouflage has evolved quite a bit over the last 30 years and has benefitted them greatly with all the new advancements! The patterns that are out now will keep hunters hidden from the game they are pursuing, because, it’s a known fact that whitetails are known for picking off the hunters who move too much! 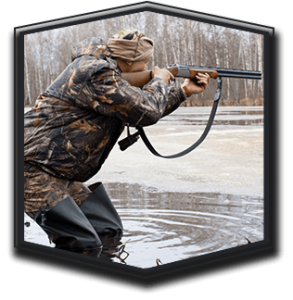 If you’re new to the game, check out a hunter safety course before you go out! Is camouflage a necessity when hunting? Does wearing camouflage add to hunting success? Would you try either a new camo pattern or brand? The results give insight into hunters who are wearing camo. It was surprising to see that only 58 percent of hunters find camo as a necessity when hunting. I suppose they’re able to find clothing that isn’t camo, but in the same colors, as the elements, their hunting is in. It was also surprising that more hunters don’t think camo adds to their success, as visibility or invisibility is extremely important when you’re out. Lastly, hunters are totally on board with trying new patterns and brands. There are a lot of superstitions in the sport, so seeing that they’re willing to switch it up, was impressive! If you’re one of the many who are willing to investigate new camo patterns and brands, here is the best deer hunting camouflage of the 2017 season! When it comes to camouflage patterns, there are two basic types: digital and traditional. Digital camo is considered pixelated (think Minecraft), blotchy patterns that mimics nature more closely, than traditional camo. Traditional camo, is the camo of yesteryear, with nature prints and more solid coloring. It’s still being produced and used, as a debate still exists among hunters of which is better. This pattern and color are specific to the west, in prairie and mountainous terrain. The pattern is excellent for blending to the environment — specifically small shrubs and sage — and keeps hunters hidden. This pattern comes with the highly rated GORE OPTIFADE, featuring macro and micro pattern configurations that contrasts the UV of the bright sky with the shaded foliage. This pattern was a go-to for military and police, and they’re catching on with hunters. It is a versatile and universal pattern, that works well for early to mid-season hunting in the west. Cabela’s put their design team to work, and after 75 tweaks to the camo pattern and color, the final piece was produced! This pattern was made to blend with any habitat in any region, and is effective in the field along with aesthetic appeal in a catalog! Are you ready for whitetail season? 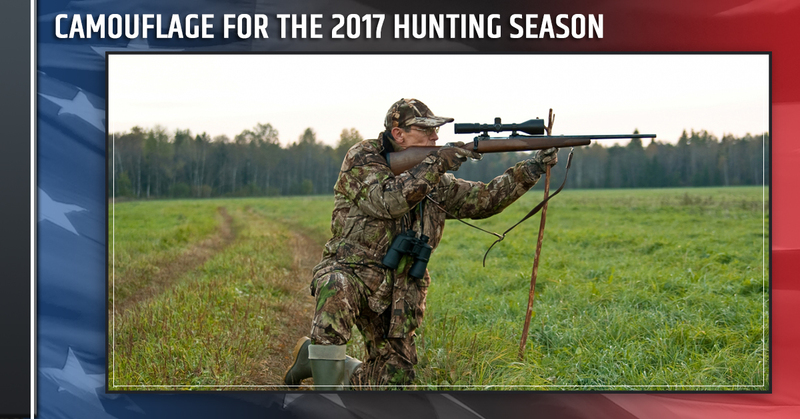 Now that you have the best camo for the season, consider a hunter education course at your local firing range! Contact Liberty Firearms Institute for a full list of classes!